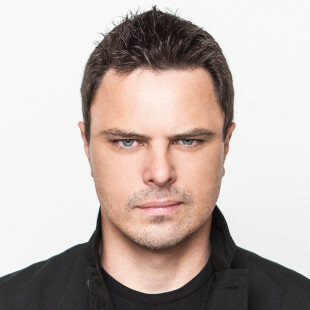 Over the last 10 years Markus Schulz has crafted the individual musical identities of progressive, trance & house into his own unique hybrid sound. The combined influence of his headlining DJ sets; Armada and Coldharbour label releases and highly prominent Global DJ Broadcast radio show have seen him at the forefront of the US EDM revolution. This success has been reflected in weekly sets spun in front tens of thousands, a GDJB listenership up in the millions and critically acclaimed albums, including ‘Do You Dream?’ and most recently ‘Scream’. Following several highly ranked positions, in 2008 Schulz broke into the # 10 of DJ Mag’s Top 100 chart. Following a Top 10 position for four years, Markus is now polling #13 in 2012. In October 2012, he was voted ‘America’s Best DJ’ by DJ Times Magazine, and stands as the busiest international DJ playing out of the United States. Through his natural audience interaction, flawless harmonic mixing, intuitive tune selection and now famous open-till-close sets, he has wowed crowds in every major metropolis. Schulz’s DJ career has run largely parallel to that of his productions. In the early noughties, having concentrated on the hinterland between trance & progressive, he began to reach audiences further and further afield. His career received a significant boost when, in 2004, he signed with heavyweight DJ agency, David Lewis Productions (also home to Armin van Buuren). Now a regular fixture at the world’s biggest & most famous clubs, arenas and festivals, he lays down his inimitable trance-progressive vision on a weekly basis. In Europe, he’s smashed Transmission, Nature One, Dance Valley, Electronic Family, Sunrise and Tomorrowland; worked tent-pegs loose at Creamfields; gridlocked Global Gatherings and played open-till-close sets at Space, Miami, Avalon, LA and Amnesia, Ibiza. Stateside the colossal Electric Daisy, Nocturnal, and Ultra Festivals have all felt Schulz pressure and yet further afield still he’s engineered floor uproar across South East Asia and Australia. Schulz has polled 4 consecutive years inside DJ Mag’s world’s top 10, is regularly ranked in the FTB, Trance Addict and Trance Podium charts as trance’s 2nd biggest spinner and won Best American DJ at the 2008 IDMAs. Born in Eschwege, central Germany, Markus emigrated to the United States. Age 13, his dance music awakening came during the grip of the country’s then-nascent breakdance scene. His early production and DJ career roughly tracked that of the second Stateside House explosion and he caught his first production break in 1993 when he remixed Sagat’s ‘Why Is It? (F** Dat)’ for FFrr. Markus’ freshman production release followed in 1994 with the 6-track ‘Plastik Trax EP Vol 1’. Throughout the mid to late Nineties he continued to accrue acclaim with a range of releases on numerous luminary U.S. labels. In 1998 he recorded ‘You Won’t See Me Cry’ for Plastik Records (his first label), which was picked up by the UK’s Eve Records and became his first non-domestic release.